It may surprise you to know that no female traveller has ever visited every country on Earth, and so the world record for fastest time to visit all 193 Sovereign Nations belongs to a man. However, that may no longer be the case, as American-born Cassandra De Pecol is only 15 countries shy of the record. The 27 year old explorer started her trip in July 2015, after quitting her job to focus on her record attempt. So far she has visited 181 countries over 15 months, and only has 40 days to visit the remaining 15 if she wants to break the world record for the quickest time to visit all countries. Travelling the world at pace doesn’t come cheap, so Miss De Pecol has relied on sponsors, a kickstart campaign and promoting businesses via her Instagram account to fund the trip – so far she’s spent over $200,000 (£160,000)! However, Cassandra isn’t just an entrepreneur and avid adventurer; she is also an ambassador for peace at ‘The International Institute for Peace through Tourism’ (IIPT). This involves speaking to audiences all over the world about sustainability and environmental action – topics which are very close to her heart. If you’re planning an epic adventure, make sure you invest in quality travel insurance before leaving home. 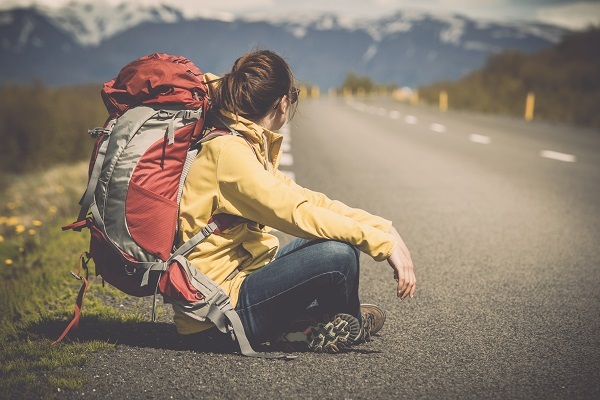 Without travel insurance you could find yourself vulnerable to expensive bills if something goes wrong, such as lost possessions or medical emergencies. Visit Holidaysafe.co.uk/Backpacker-Travel-Insurance for more information on Longstay and Backpacker cover up to 24 months for UK residents.